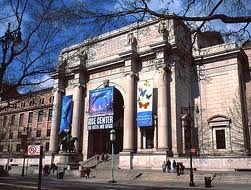 Earlier in the year the Fourth Grade class visited the American Museum of Natural History. 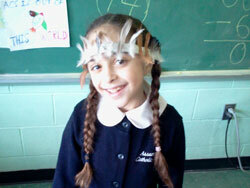 Now it was time for the students to put to use what they had learned about Native Americans. 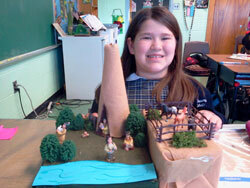 For this project, each student chose what they wanted to create. 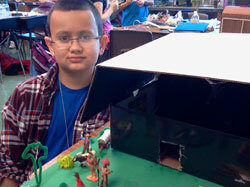 Some chose to build a longhouse, some created a diorama. 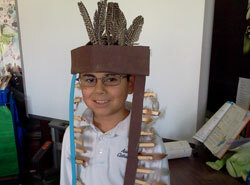 Several students wanted to try to make a Native American headdress and yet others tried to make jewelry. 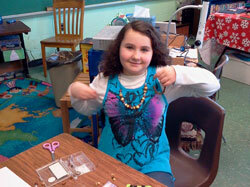 Each item had to be made in class and had to be completed by the student alone. 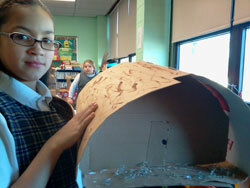 One student had plans copied from the internet but for the most part they learned as they went along. I am very proud of what they have accomplished on their own.